Living in Palm Beach and the surrounding areas there’s not much of a winter, but that doesn’t mean that you should slack on getting ready for warmer weather. After the holidays and with one of the most romantic days of the year approaching, you’re probably feeling a little uncomfortable with any weight you may have gained. It’s understandable that your clothes are feeling tighter, but don’t let that be an excuse for not eating correctly. At Josephs’ Classic Market, we have a variety of fresh foods that you can begin to incorporate into your meals everyday. From our wide selection of deli meats to our fresh vegetables, our gourmet fresh food will help you feel energized, comfortable, and could loosen up those tight pants. Eating healthy is hard, but it’s the best way to nourish your body and keep a healthy weight. 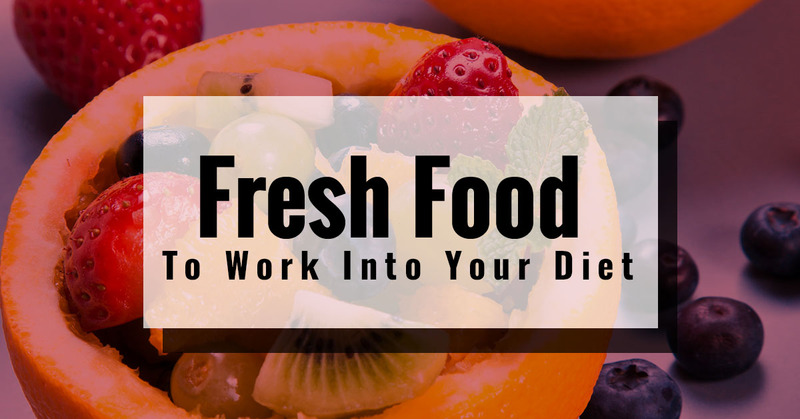 In Why You Should Start Eating Fresh Food and How To Eat Healthier, we covered some suggestions to help you understand why eating fresh foods is so great for your body. We also incorporate some tips in learning how to eat healthily. Keep in mind that it won’t happen overnight, everyone loves some French fries or a thick milkshake every now and again, but by making a conscious decision to change your diet, you’ll begin to notice that winter weight drops and you feel healthier. At Joseph’s Classic Market, we have each of these fresh foods and more. Don’t forget to check out our bonus foods at the bottom! Whole grains are probably something that you’ve heard read about in health magazines and heard about from your doctor. Carbohydrates get a bad rap because so many bad foods are associated with them such as pastries, bread, and cookies. While eating any of one thing too much will cause you to gain weight, when you eat the right types of carbs, you’ll feel better. Whole grain foods are from cereal grains, which include a whole kernel. About 95 percent of the carbs we eat are refined, but whole grains are not only healthier for you, but can also prevent health problems such as colon cancer, Alzheimer’s disease, and heart problems. With flu season slowly ending, you’ve probably seen a few people eating oranges around your office. An orange has vitamin C and A precursors. It also has calcium and potassium. You don’t have to only eat bananas to get your daily dose of potassium! Oranges can also help reduce blood pressure, heart issues, and cholesterol. An orange is basically a pharmacy in a delicious, round fruit. While drinking orange juice might be preferred because it goes down easy with breakfast, it has an abundance of sugar that’s added to it, which is why the actual fruit is the best option. Living in Florida, there is an abundance of fresh oranges and you can get them for a great price at Joseph’s Classic Market. Kale is something that a lot of health food nuts are going crazy for because it can go in some many different things. From salads to enchiladas, kale is something that can be incorporated easily into a meal. Just throw a handful into your meal and enjoy it. However, if you need a bit more seasoning, then you can try making kale chips or cooking it with sesame oil to give it more of an Asian flair. Kale can help with preventing atherosclerosis. These dark leafy greens are a superfood that can reverse heart disease and boost your antioxidant intake as well as your omega-3 fatty acids. In addition, it is rich in lutein. You might stay away from garlic because you don’t want to smell like you’re trying to keep vampires away, but garlic has a variety of benefits in it to keep you healthy. Garlic can help to reduce blood pressure and, ironically, the plaque on your teeth. Garlic helps to constrict the blood vessels in your body due to the enzyme called angiotensin. This food is a beneficial one to add to meals because it gives your dishes a pop of taste. Are you ready to add these foods to your grocery list? Take advantage of our weekly specials that will make shopping even more affordable!